War can be a difficult thing to manage. The war was supposed to over, but by the beginning of December 1914 there existed a stalemate of sorts. Hastily built defensive trenches began at the edge of the English Channel and continued all the way to Switzerland. Barbed wire and parapets defended the trenches and between them stretched a no-mans-land that in some places was no more than ten-metres wide. Life in the trenches was horrible; continuous sniping, machine gun fire and artillery shelling took a deadly toll, as did rain, snow and cold. It was monotonous. By Christmas Eve both sides had received Christmas packages from home, including food, presents, and alcoholic beverages. And somehow, men in the trenches decided to end the war, if only for a few hours or days. 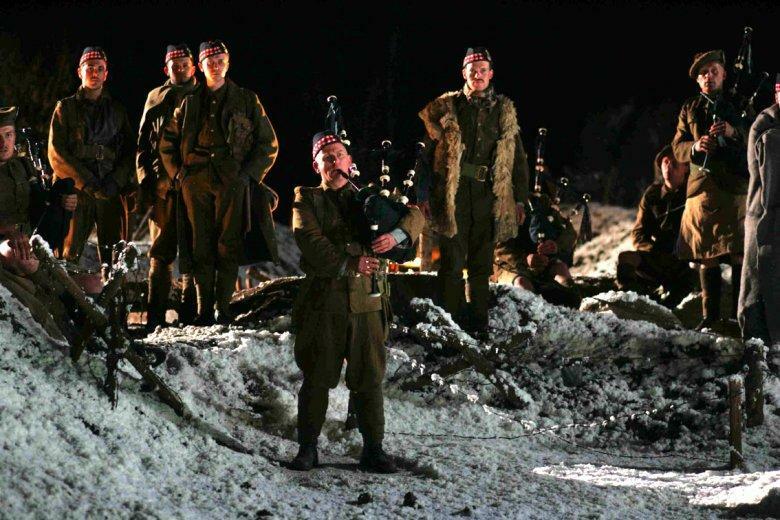 How it all happened varies, but all along a fifty kilometre line, soldiers came together in no-mans-land to talk, sing, exchange gifts and to play impromptu games of football. And to bury their dead, often with joint services. It seemed absurd, and it was. Yet it happened at the end of 1914 on the European theatre of war. When the high commands on both sides found out, orders were given to stop the fraternising. At once. Immediately. 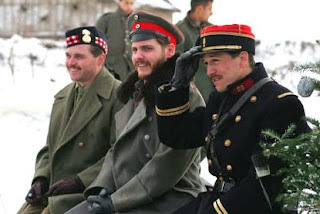 In some areas the truce ended Christmas Day. In other areas the following day, and in others it extended to New Year's Day. Men were disciplined, but few if any, were were subject to courts martial. That would have meant trials and even more publicity for an event the political masters wanted to disappear. In fact, much of the story only came out because of letters from the front that were posted and missed the censor's pencil, as this one released by the family last year. Dearest mother, I think I have seen today one of the most extraordinary sights that anyone has ever seen. About 10 o'clock this morning I was peeping over the parapet when I saw a German, waving his arms, and presently two of them got out of their trench and came towards ours. 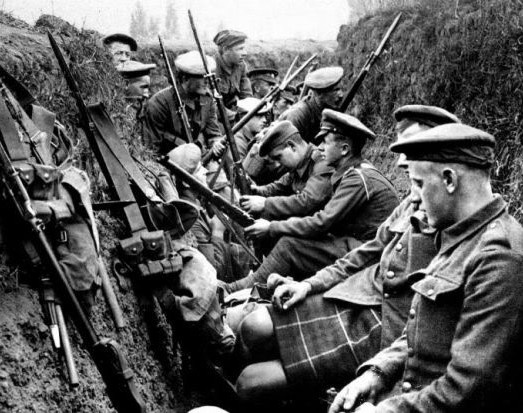 We were just going to fire on them when we saw they had no rifles, so one of our men went to meet them and in about two minutes the ground between the two lines of trenches was swarming with men and officers of both sides, shaking hands and wishing each other a happy Christmas. He goes on to talk about the football match and the sound of the bagpipes that played all day. A French movie made in 2005 remembers the Christmas Eve Truce. 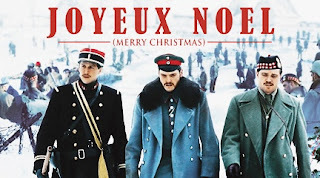 Joyeux Noël (or see the English version of the movie's website ) is a wonderful film, featuring the truce as celebrated by three forces: the Scots, French and Germans. If you haven't seen it, view the trailer, and get the film. And yes, the pipes get a big part in the movie. As they did in 1914. War is a hard thing to manage. The politicians and generals need our approval. Why do we give it so readily I wonder?